Even after almost two years, the Office of the Attorney General (OAG) is yet to file new charges against 12 Bhutanese. They are accused of deflection of Indian currency, forgery, and bribery. OAG said Thimphu District Court had dismissed the initial charges they had put up against the 12 accused. The further delay came when OAG appealed to the High Court. The High Court also dismissed the case. The case was first registered with the Thimphu District Court in April 2014. 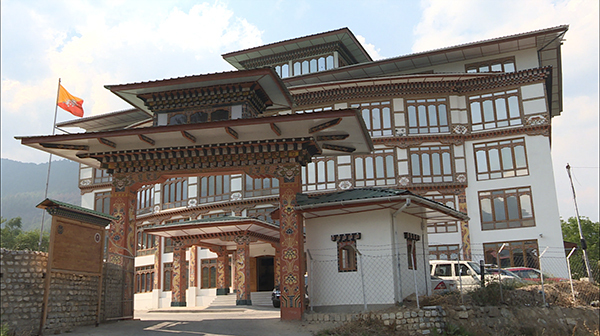 Thimphu District Court had dismissed the charges saying OAG failed to produce all the accused during the first hearing. The district court also said the accused were not detained which could have hampered the proceedings. OAG had then put up the issue in the judicial conference in July, 2014. The conference responded there is no need for detention of the accused in each and every case. They however said the prosecutor or investigating agencies must be responsible for producing the defendants for the hearing. Even after interpretation, OAG has not filed new charges. On the other hand, the district court said it is not the duty of the court to summon those accused who have been given bail by the investigating authority. OAG said they will soon file the case. The 12 have been accused of receiving commissions for letting the prime suspect, an Indian national use their ATM cards and bank accounts to withdraw Indian rupees from across the border.